925 Silver Plated 1.6mm Trace Chains with E-Coat. Italian craftsmanship at its finest! 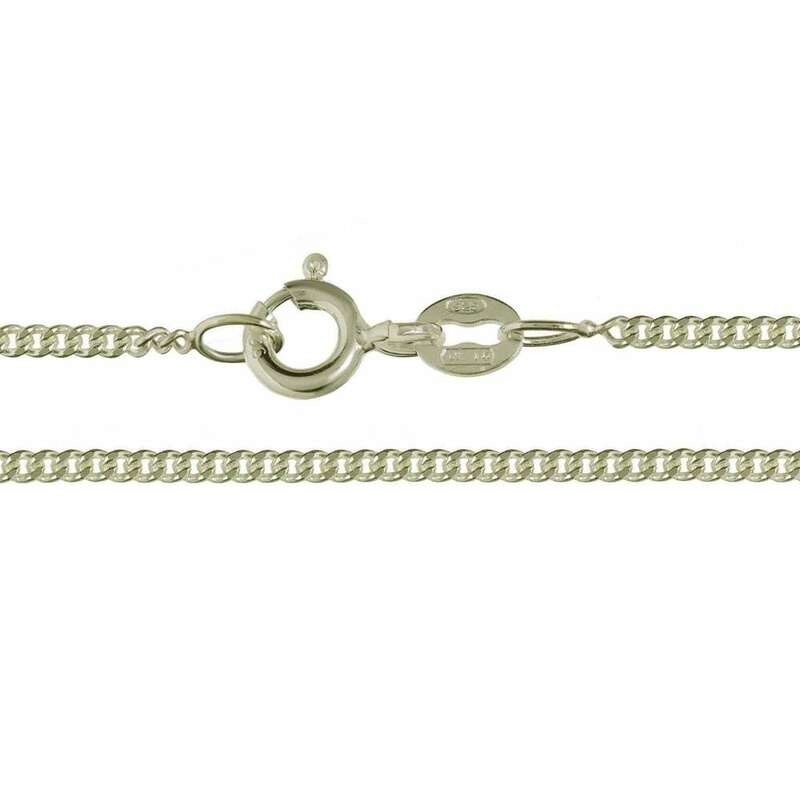 These Organically E-coated** 925 Silver Plated 1.6mm Trace Chains are crafted with precision in Vicenza. Every inch is silky smooth. Every facet is luminously polished. Every detail is flawless. This is what Italian production is all about! The feel of these chains is truly luxurious. They decadently drape themselves on your neck like silvery silk. These Chains are perfect for pendants, and can also be worn alone. **E-Coat. This is no ordinary 925 Silver Plated Chain. It is protected with an organic lacquer, covering every nook and cranny with an even and consistent protective coat keeping your chain nice and shiny while helping it resist tarnish. E-Coat is extremely hard wearing and will resist UV Breakdown. It will keep your chain looking good for a lot longer than a non E-Coated Gold Plated Chain. NOW STOCKING EXTENDED SIZES UP TO 40"
16" 18" 20" 22" 24" 26" 28" 30"
WEIGHT: 1.4g to 3.6g depending on length. Sterling Silver 1.8mm Flat Curb Chain. 925 Sterling Silver Italian made 1.8mm Flat Diamond Cut Curb Chain.Delicate and Stylish, this superb quality lightweight chain looks great on its own or with a Pendant. Every inch is silky smooth. Every facet is luminously polished. Every detail is flawless. This is what Italian production is all about! The feel of these chains is truly luxurious. They decadently drape themselves on your neck like silvery silk.These Curb Chains are perfect for pendants, and can also be worn alone. Fastened with a Lobster Clasp. Diamond cutting adds a visible sparkle to the finished chain. 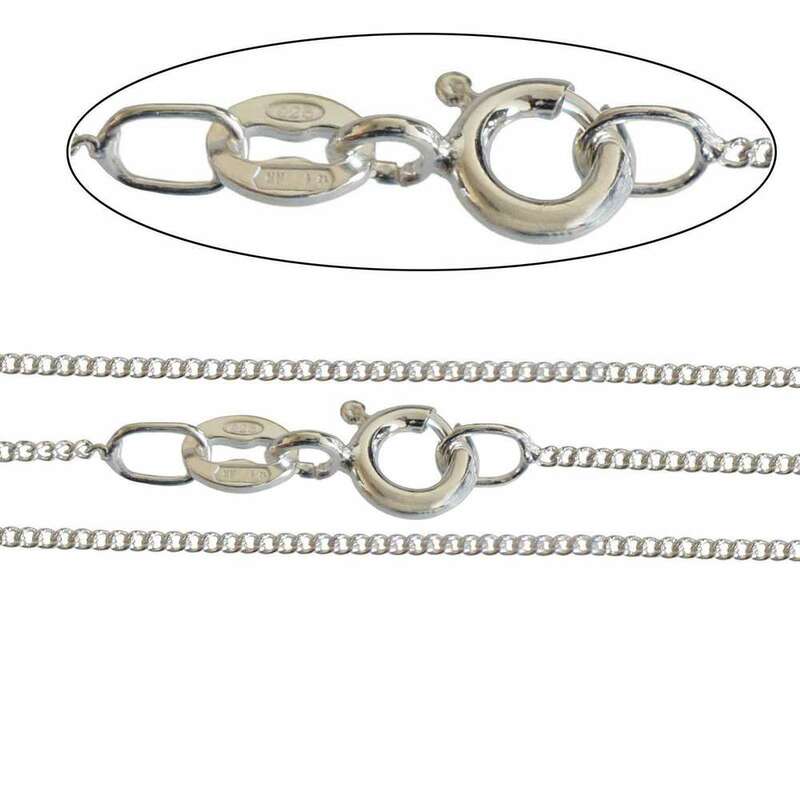 Expertly manufactured to our specification in Italy and guaranteed the best qualityNOW STOCKING EXTENDED SIZES UP TO 24"
Chain Length Chain Length... 18" 20" 22" 24"
Sterling Silver Fine 1mm Flat Curb Chain. 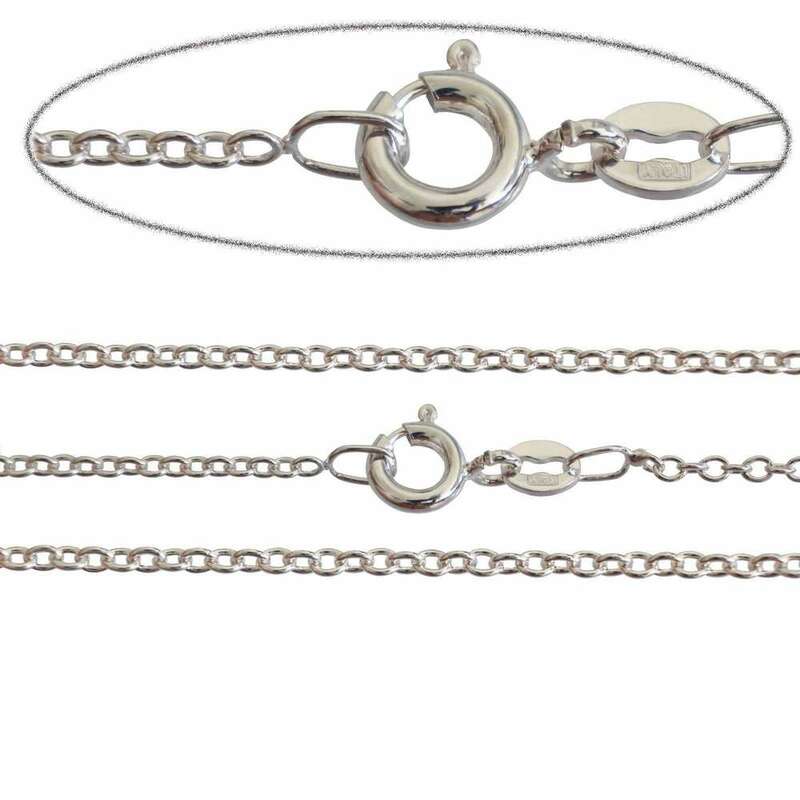 925 Sterling Silver Italian made Fine 1mm Curb Chain.Delicate and Stylish, this superb quality lightweight chain looks great on its own or with a Pendant. Every inch is silky smooth. Every facet is luminously polished. Every detail is flawless. This is what Italian production is all about! The feel of these chains is truly luxurious. They decadently drape themselves on your neck like silvery silk.These Curb Chains are perfect for pendants, and can also be worn alone. Fastened with a Lobster Clasp. Diamond cutting adds a visible sparkle to the finished chain. Expertly manufactured to our specification in Italy and guaranteed the best qualityNOW STOCKING EXTENDED SIZES UP TO 24"
Chain Length Chain Length... 16" 18" 20" 22" 24"
Sterling Silver 1.5mm Belcher Diamond Cut Chains. 925 Sterling Silver Italian made 1.5MM Diamond Cut Belcher Chain with Lobster Clasp.Delicate and Stylish, this superb quality lightweight chain looks great on its own or with a Pendant. Every inch is silky smooth. Every facet is luminously polished. Every detail is flawless. This is what Italian production is all about! The feel of these chains is truly luxurious. They decadently drape themselves on your neck like silvery silk.These Belcher Chains are perfect for pendants, and can also be worn alone. Fastened with a Lobster Clasp. Diamond cutting adds a visible sparkle to the finished chain. 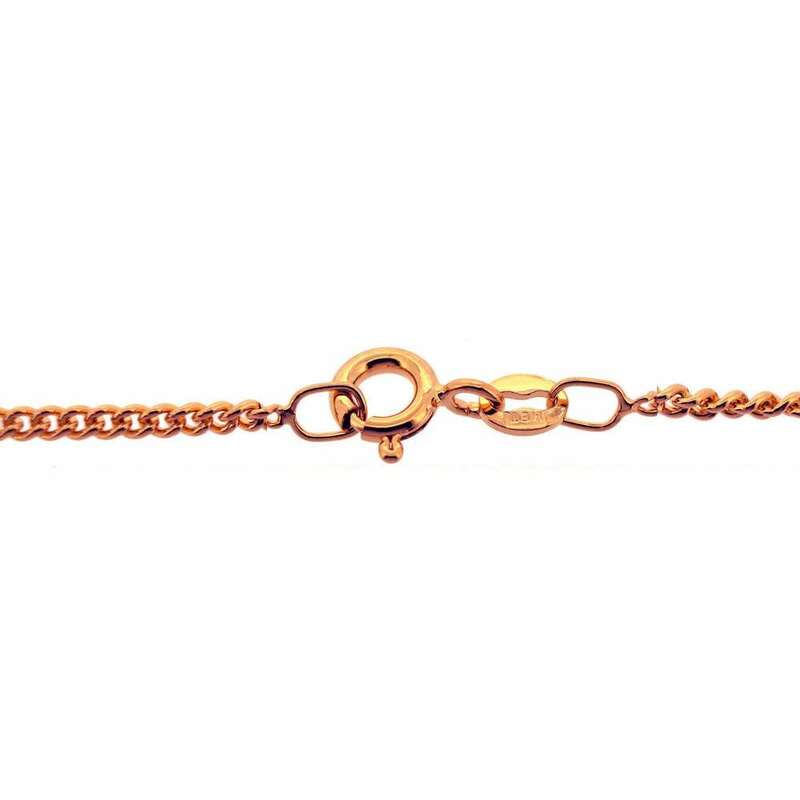 Expertly manufactured to our specification in Italy and guaranteed the best qualityNOW STOCKING EXTENDED SIZES UP TO 30"
Chain Length Chain Length... 16" 18" 20" 22" 24" 26" 28" 30"
9ct Rose Gold Plated 1.8mm Curb Chain with E-Coat. Italian craftsmanship at its finest! These Organically E-coated** 9ct Rose Gold Plated 1.8mm 14 16 18 20 22 24 26 28 30 32 34 36 38 40 INCH Curb Chains are crafted with precision in Vicenza. Every inch is silky smooth. Every facet is luminously polished. Every detail is flawless. This is what Italian production is all about! The feel of these chains is truly luxurious. They decadently drape themselves on your neck like silvery silk. These Chains are perfect for pendants, and can also be worn alone.**E-Coat. 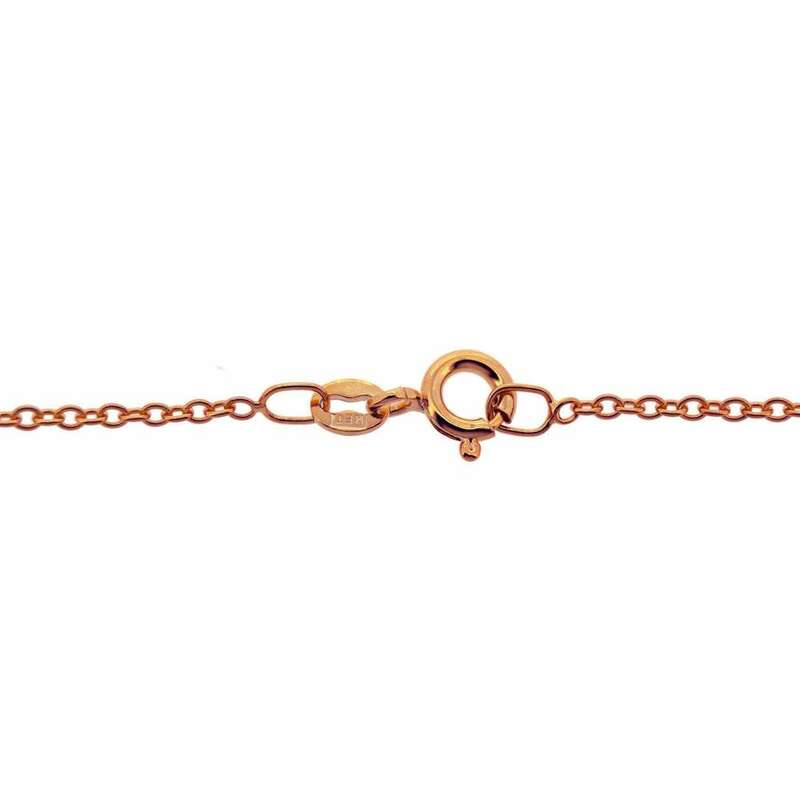 This is no ordinary 9ct Rose Gold Plated Chain. It is protected with an organic lacquer, covering every nook and cranny with an even and consistent protective coat keeping your chain nice and shiny while helping it resist tarnish.E-Coat is extremely hard wearing and will resist UV Breakdown. It will keep your chain looking good for a lot longer than a non E-Coated Gold Plated Chain.NOW STOCKING EXTENDED SIZES UP TO 40"
Chain Length Chain Length... 14" 16" 18" 20" 22" 24" 26" 28" 30" 32" 34" 36" 38" 40"
9ct Gold Plated 1.8mm Curb Chain with E-Coat. Italian craftsmanship at its finest! 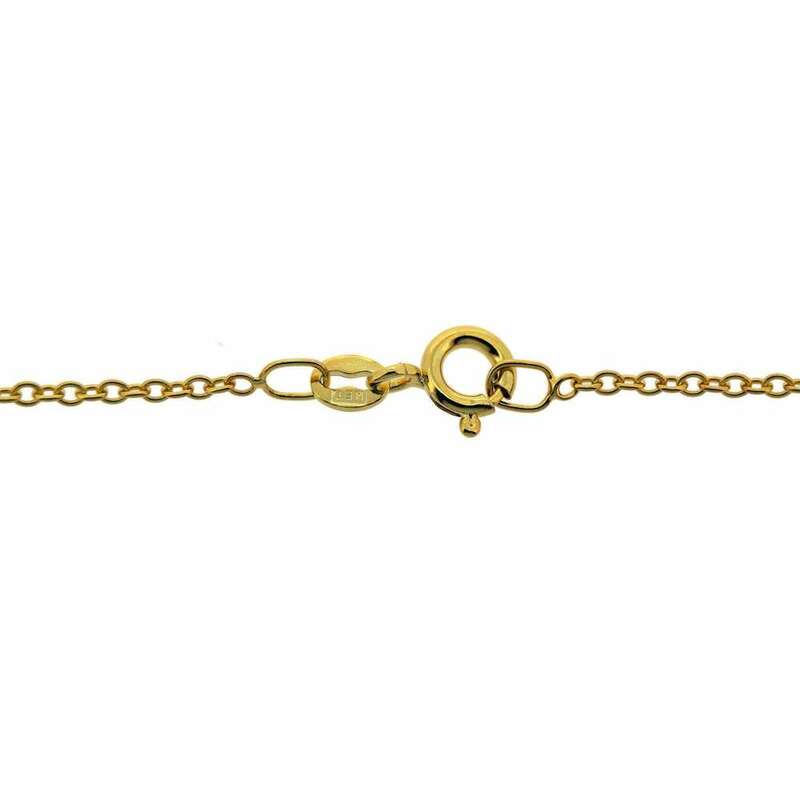 These Organically E-coated** 9ct Gold Plated 1.8mm 14 16 18 20 22 24 26 28 30 32 34 36 38 40 INCH Curb Chains are crafted with precision in Vicenza. Every inch is silky smooth. Every facet is luminously polished. Every detail is flawless. This is what Italian production is all about! The feel of these chains is truly luxurious. They decadently drape themselves on your neck like silvery silk. These Chains are perfect for pendants, and can also be worn alone.**E-Coat. This is no ordinary 9ct Gold Plated Chain. It is protected with an organic lacquer, covering every nook and cranny with an even and consistent protective coat keeping your chain nice and shiny while helping it resist tarnish.E-Coat is extremely hard wearing and will resist UV Breakdown. It will keep your chain looking good for a lot longer than a non E-Coated Gold Plated Chain.NOW STOCKING EXTENDED SIZES UP TO 40"
Sterling Silver 2mm Spiga Chains with E-Coat. 925 Sterling Silver Italian made 2MM Spiga Chain with Lobster Clasp and E-CoatDelicate and Stylish, this superb quality lightweight chain looks great on it's own or with a Pendant, and is available in small sizes for Wrists, Ankles and Children. **E-Coat. This is no ordinary SPIGA Chain. It is protected with an organic lacquer, covering every nook and cranny with an even and consistent protective coat keeping your chain nice and shiny while helping it resist tarnish. Expertly manufactured to our specification in Italy. NOW STOCKING EXTENDED SIZES UP TO 40"
Chain Length Chain Length... 6" 7.5" 10" 12" 14" 16" 18" 20" 22" 24" 26" 28" 30" 32" 34" 36" 38" 40"
9ct Rose Gold Plated 1.6mm Trace Chain with E-Coat. Italian craftsmanship at its finest! These Organically E-coated** 9ct Rose Gold Plated 1.6mm 16 18 20 22 24 26 28 30 32 34 36 38 40 INCH Trace Chains are crafted with precision in Vicenza. Every inch is silky smooth. Every facet is luminously polished. Every detail is flawless. This is what Italian production is all about! The feel of these chains is truly luxurious. They decadently drape themselves on your neck like silvery silk. These Chains are perfect for pendants, and can also be worn alone.**E-Coat. This is no ordinary 9ct Gold Plated Chain. It is protected with an organic lacquer, covering every nook and cranny with an even and consistent protective coat keeping your chain nice and shiny while helping it resist tarnish.E-Coat is extremely hard wearing and will resist UV Breakdown. It will keep your chain looking good for a lot longer than a non E-Coated Gold Plated Chain.NOW STOCKING EXTENDED SIZES UP TO 40"
Sterling Silver Fine 1.2mm Trace Chain. 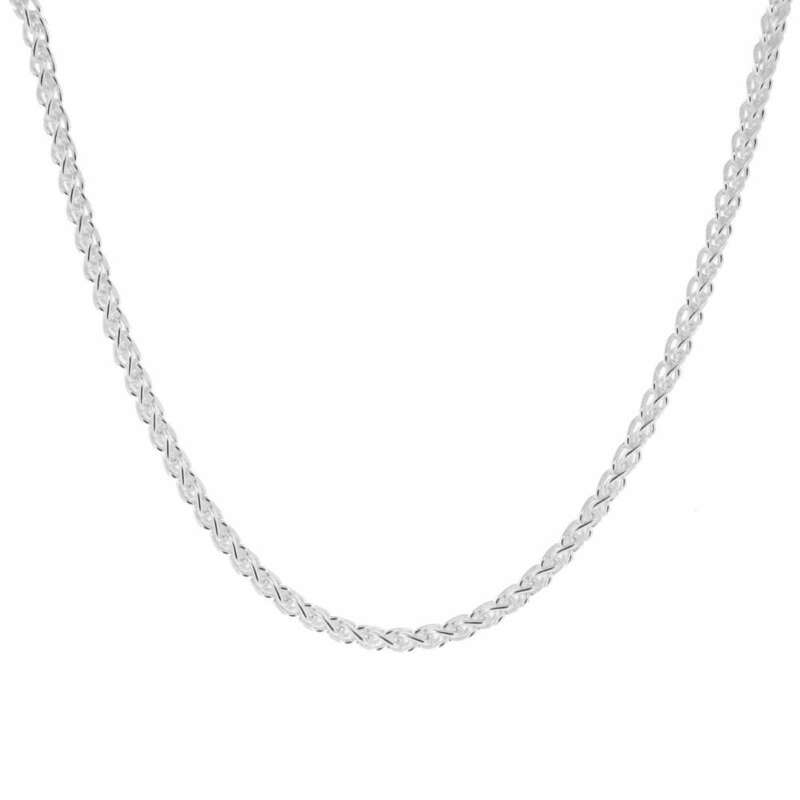 925 Sterling Silver Italian made Fine 1.2mm Trace Chain.Delicate and Stylish, this superb quality lightweight chain looks great on its own or with a Pendant. Every inch is silky smooth. Every facet is luminously polished. Every detail is flawless. This is what Italian production is all about! The feel of these chains is truly luxurious. They decadently drape themselves on your neck like silvery silk.These Curb Chains are perfect for pendants, and can also be worn alone. Fastened with a Lobster Clasp. Diamond cutting adds a visible sparkle to the finished chain. 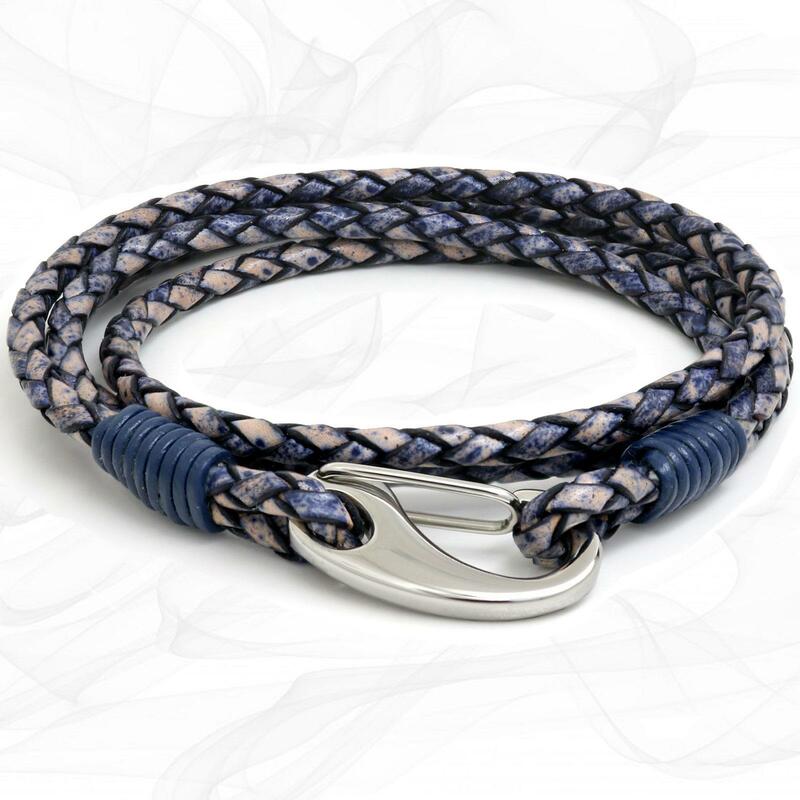 Expertly manufactured to our specification in Italy and guaranteed the best qualityNOW STOCKING EXTENDED SIZES UP TO 24"
Sterling Silver 1.8mm Spiga Chains with E-Coat. 925 Sterling Silver Italian made 1.8MM Spiga Chain with Lobster Clasp and E-Coat Delicate and Stylish, this superb quality lightweight chain looks great on it's own or with a Pendant, and is available in small sizes for Wrists, Ankles and Children. **E-Coat. This is no ordinary SPIGA Chain. It is protected with an organic lacquer, covering every nook and cranny with an even and consistent protective coat keeping your chain nice and shiny while helping it resist tarnish. Expertly manufactured to our specification in Italy. NOW STOCKING EXTENDED SIZES UP TO 40"
9ct Rose Gold Plated 1.4mm Curb Chain with E-Coat. Italian craftsmanship at its finest! These Organically E-coated** 9ct Rose Gold Plated 1.4mm 14 16 18 20 22 24 26 28 30 32 34 36 38 40 INCH Curb Chains are crafted with precision in Vicenza. Every inch is silky smooth. Every facet is luminously polished. Every detail is flawless. This is what Italian production is all about! The feel of these chains is truly luxurious. They decadently drape themselves on your neck like silvery silk. These Chains are perfect for pendants, and can also be worn alone.**E-Coat. 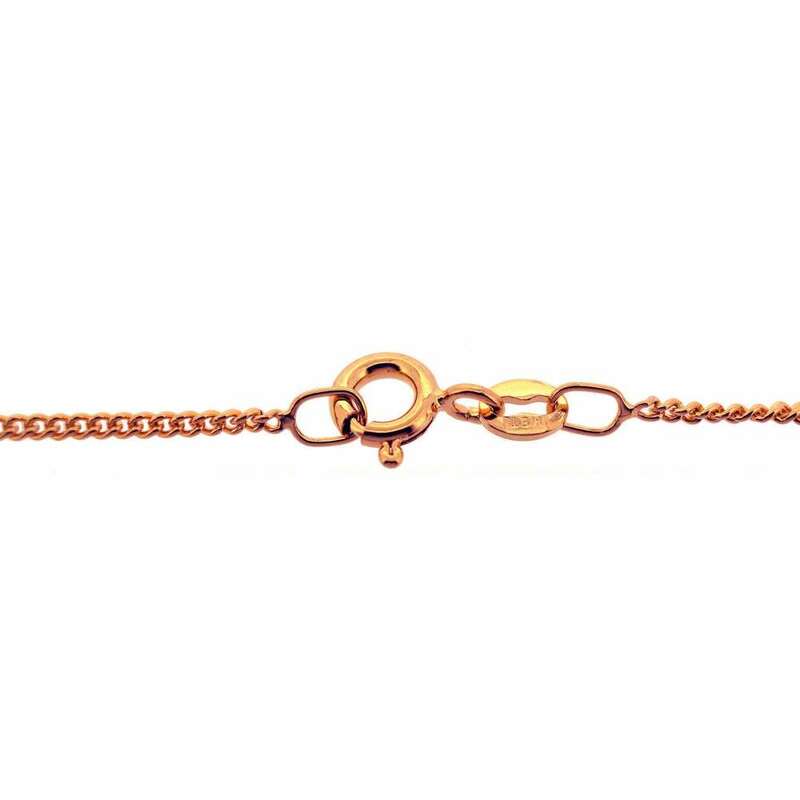 This is no ordinary 9ct Rose Gold Plated Chain. It is protected with an organic lacquer, covering every nook and cranny with an even and consistent protective coat keeping your chain nice and shiny while helping it resist tarnish.E-Coat is extremely hard wearing and will resist UV Breakdown. 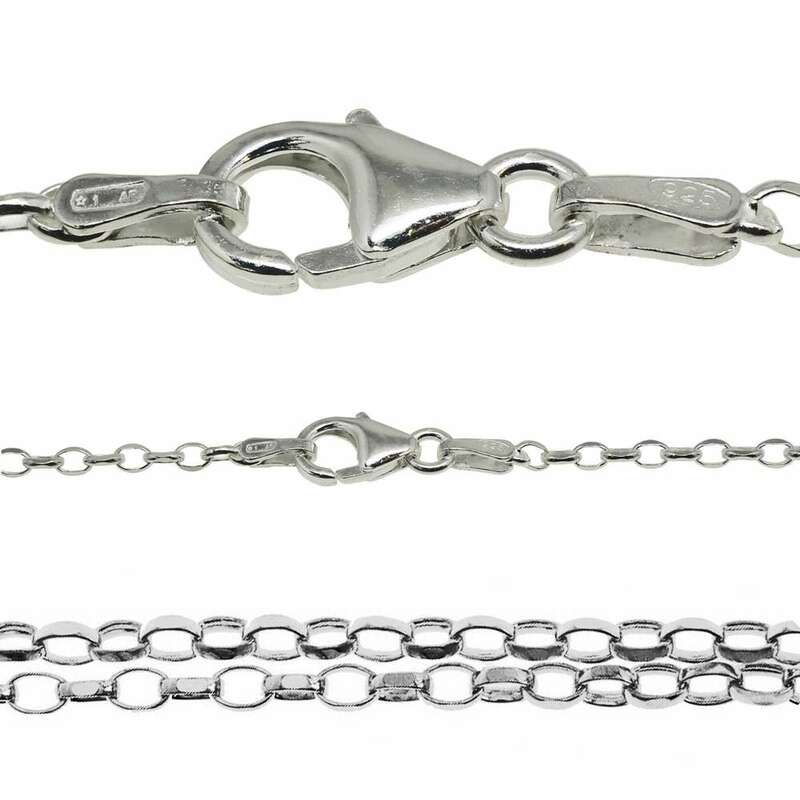 It will keep your chain looking good for a lot longer than a non E-Coated Gold Plated Chain.NOW STOCKING EXTENDED SIZES UP TO 40"
Sterling Silver 1.4mm Italian Made Curb Chain. Chain Length Chain Length... 16" 18" 20"
925 Silver Plated 1.4mm Curb Chains with E-Coat. Italian craftsmanship at its finest! 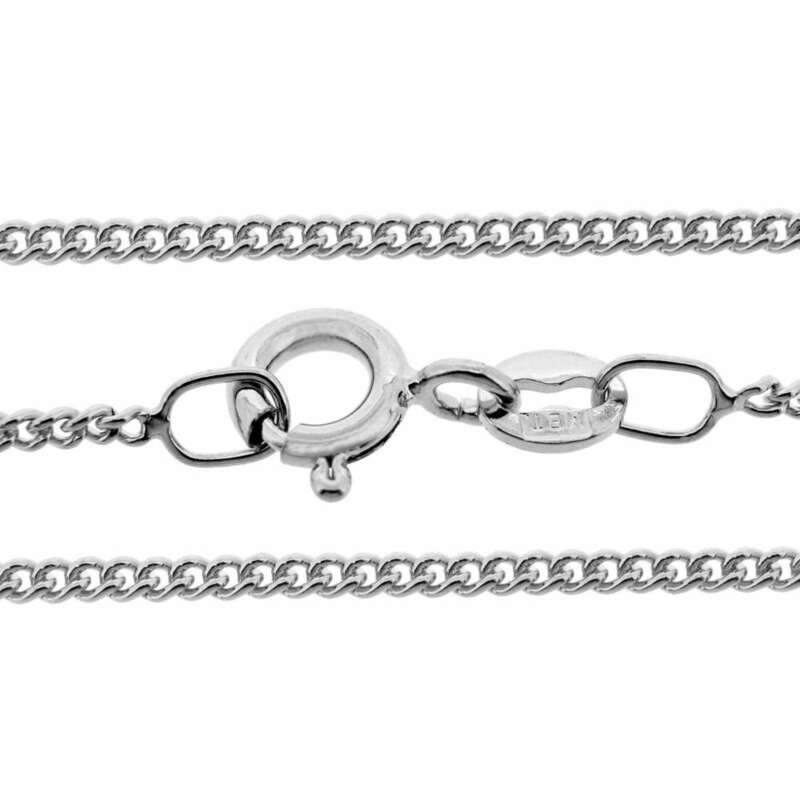 These Organically E-coated** 925 Silver Plated 1.4mm Curb Chains are crafted with precision in Vicenza. Every inch is silky smooth. Every facet is luminously polished. Every detail is flawless. This is what Italian production is all about! The feel of these chains is truly luxurious. They decadently drape themselves on your neck like silvery silk. These Chains are perfect for pendants, and can also be worn alone.**E-Coat. This is no ordinary 925 Silver Plated Chain. It is protected with an organic lacquer, covering every nook and cranny with an even and consistent protective coat keeping your chain nice and shiny while helping it resist tarnish.E-Coat is extremely hard wearing and will resist UV Breakdown. It will keep your chain looking good for a lot longer than a non E-Coated Gold Plated Chain.NOW STOCKING EXTENDED SIZES UP TO 40"
Chain Length Chain Length... 16" 18" 20" 22" 24" 26" 28" 30" 32" 34" 36" 38" 40"
9ct Gold Plated 1.4mm Curb Chain with E-Coat. Italian craftsmanship at its finest! 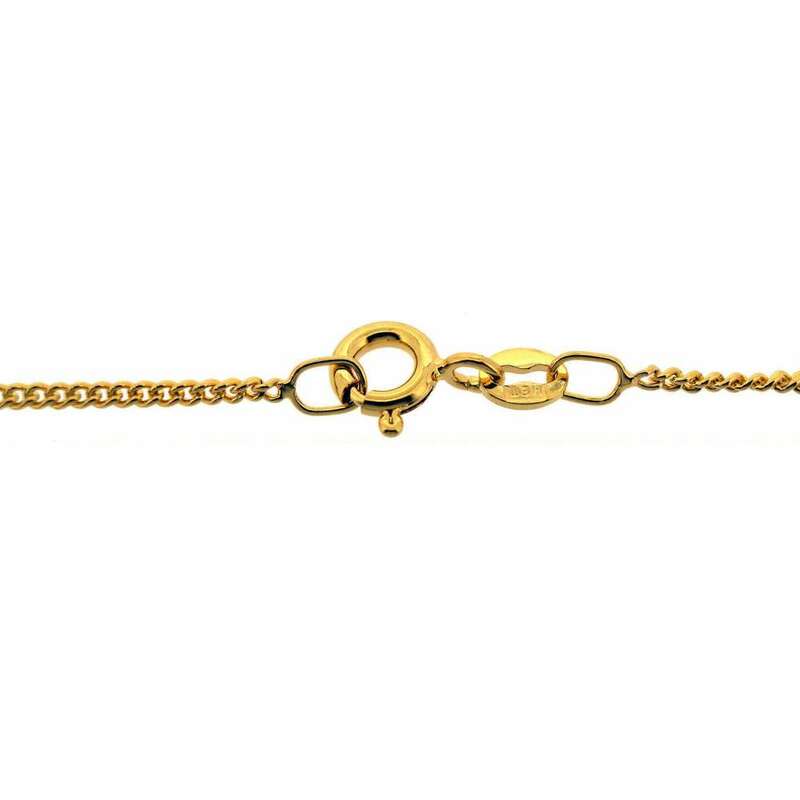 These Organically E-coated** 9ct Gold Plated 1.4mm 14 16 18 20 22 24 26 28 30 32 34 36 38 40 INCH Curb Chains are crafted with precision in Vicenza. Every inch is silky smooth. Every facet is luminously polished. Every detail is flawless. This is what Italian production is all about! The feel of these chains is truly luxurious. They decadently drape themselves on your neck like silvery silk. These Chains are perfect for pendants, and can also be worn alone.**E-Coat. This is no ordinary 9ct Gold Plated Chain. It is protected with an organic lacquer, covering every nook and cranny with an even and consistent protective coat keeping your chain nice and shiny while helping it resist tarnish.E-Coat is extremely hard wearing and will resist UV Breakdown. 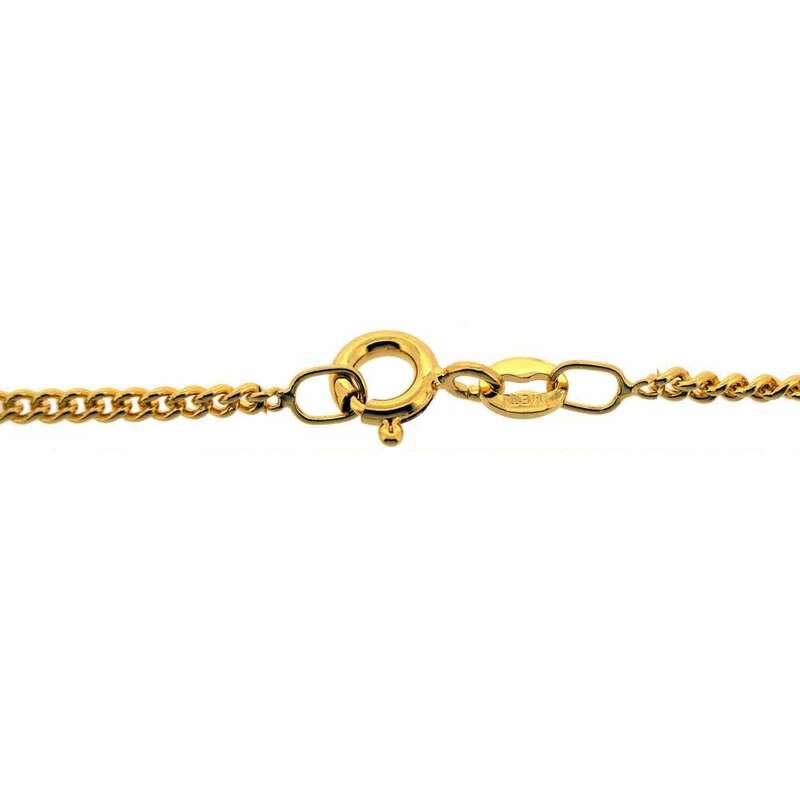 It will keep your chain looking good for a lot longer than a non E-Coated Gold Plated Chain.NOW STOCKING EXTENDED SIZES UP TO 40"
9ct Gold Plated 1.6mm Trace Chain with E-Coat. Italian craftsmanship at its finest! These Organically E-coated** 9ct Gold Plated 1.6mm 14 16 18 20 22 24 26 28 30 32 34 36 38 40 INCH Trace Chains are crafted with precision in Vicenza. Every inch is silky smooth. Every facet is luminously polished. Every detail is flawless. This is what Italian production is all about! The feel of these chains is truly luxurious. They decadently drape themselves on your neck like silvery silk. These Chains are perfect for pendants, and can also be worn alone.**E-Coat. This is no ordinary 9ct Gold Plated Chain. It is protected with an organic lacquer, covering every nook and cranny with an even and consistent protective coat keeping your chain nice and shiny while helping it resist tarnish.E-Coat is extremely hard wearing and will resist UV Breakdown. It will keep your chain looking good for a lot longer than a non E-Coated Gold Plated Chain.NOW STOCKING EXTENDED SIZES UP TO 40"